Arrange your learners so you can easily track them throughout every part of the funnel. Grow and solidify your relationships with them in an easy-to-manage way. 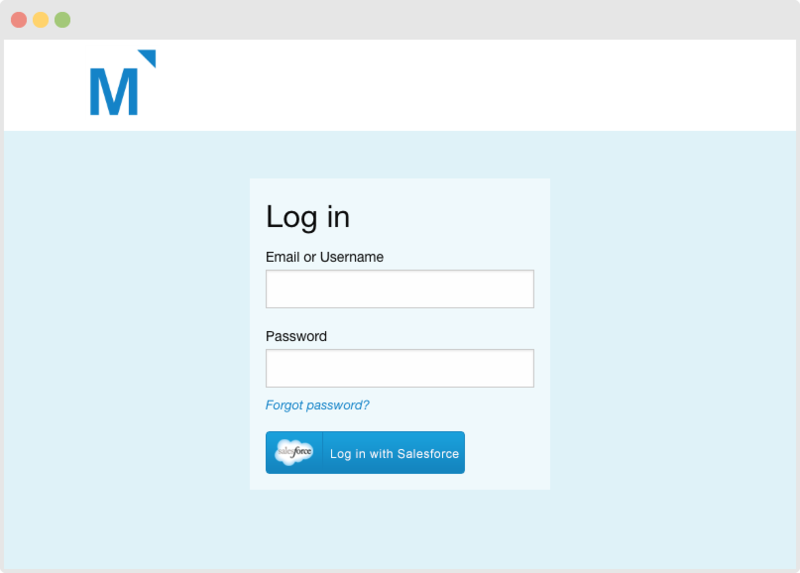 Use your Salesforce login to integrate seamlessly with Mindflash and instantly access all your courses. 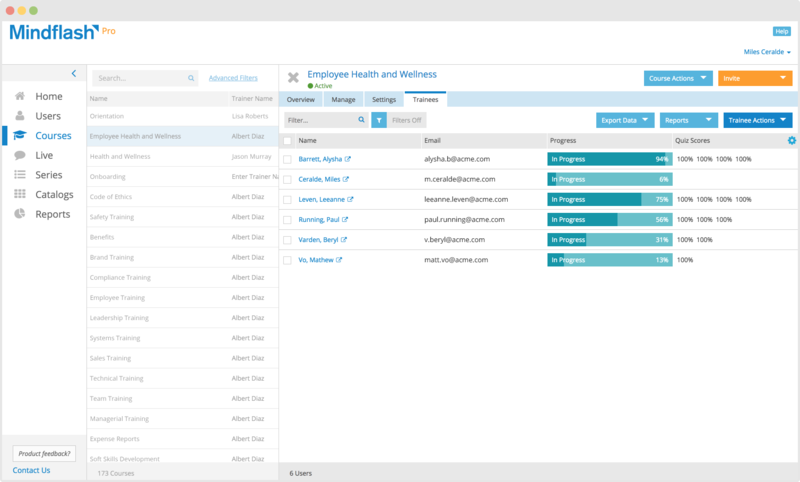 Salesforce makes inviting your contacts and other users to your Mindflash courses automatic. Just a few clicks is all it takes to invite all your contacts, account prospects, customers and more. Mindflash lets you push course performance to Salesforce. Use that data to create custom reports that show past and current performance. Highlight the goals or benchmarks that need to be met. Start using Salesforce with Mindflash!